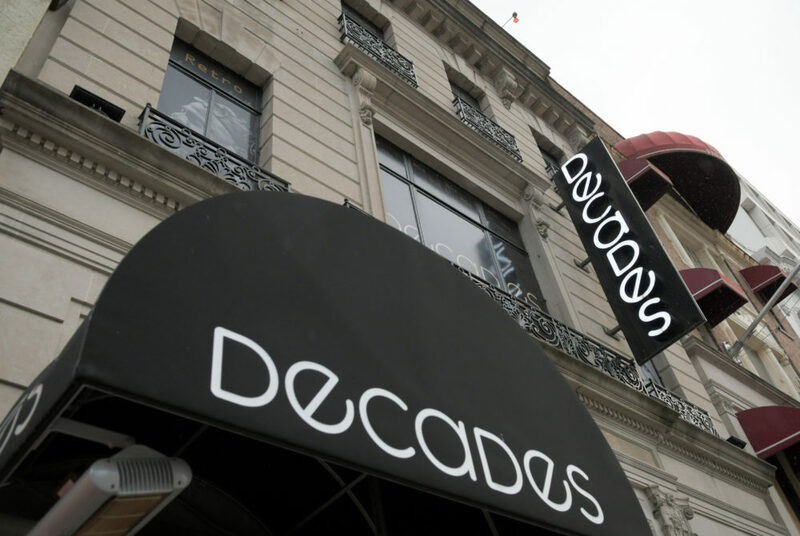 Explore bars around Dupont Circle, including Decades, on a onesie bar crawl Saturday evening. Start the weekend with laughs provided by “Saturday Night Live” alumnus Jay Pharoah before immersing yourself in the complexities of migration at the Kennedy Center. Between the two events, stay comfortable traveling from bar to bar on a onesie bar crawl. Have a night full of laughs before the stress of the semester begins when “Saturday Night Live” alumnus and hilarious impressionist Jay Pharoah takes the stage at 9:30 Club Friday. The comedian is known for his uncanny portrayals of Barack Obama, Kanye West and Jay-Z. In addition to his work on SNL, Pharaoh has also voice acted on popular animated shows like “BoJack Horseman” and “Family Guy.” Pharoah will perform stand-up at a special sit-down event that will be sure to make you forget about classes beginning Monday. 9:30 Club, 815 V St. NW. 8 p.m. Tickets are $30. If you love going out but hate getting dressed up or just want to keep warm, this event is for you. Celebrate the start of a new semester with friends comfortably by partaking in the Onesie Bar Crawl around Dupont Circle. The event kicks off at Nero Bar and Lounge where attendees will be given light-up LED bracelets, which light up to indicate when to head to the next bar. Venues along the way like Decades, Public Bar and Dirty Bar will offer ticket holders up to 25 percent off food and up to 40 percent off drinks. Starts at Nero Bar and Lounge, 1323 Connecticut Ave. NW. 2 to 11 p.m. Tickets are $40. Stay close to home on Sunday and see a show running for a limited time at the Kennedy Center. The complexities of migration are explored through dance, film and sound technology in the production of “Cartography.” Created by author Christopher Meyer and director Kaneza Schaal, “Cartography” takes viewers through the trials and tribulations of what youth migrants face from rafts in the Mediterranean Sea to border checkpoints in cargo trucks. The John F. Kennedy Center for the Performing Arts, 2700 F St. NW. Shows at 1:30 and 4:30 p.m. Tickets are $20.